Batman, the caped crusader, a franchise that has had a massive reinvention over the past few years thanks to the wonderful Christopher Nolan and his Batman Begins and The Dark Knight. However Batman has been around for a long long time and has now had three distinct on screen versions, the original TV show, the Tim Burton inspired movies and now Nolan's more realistic Batman. 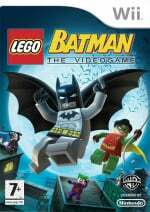 To those that have been familiar with video games it came as no surprise that Batman was announced as the next franchise to get the "LEGO treatment". The LEGO series of video games, LEGO Star Wars and LEGO Indiana Jones were both huge successes across all formats. It made perfect sense for Travellers Tales to take on yet another rich in content series to create their next game. For those, like myself, who were deeply impressed with The Dark Knight you might feel a little disappointed to find out that LEGO Batman is firmly styled on the previous set of Batman movies, Batman, Batman Returns, Batman Forever and even Batman and Robin. These were the films that were slightly more comical, quite camp and heavy on the neon and bright colour combos. In fairness to Travellers Tales, this style suits the LEGO world extremely well and must of been easier to work with considering the vast amount of archive artwork available. The game stars with Batman and Robin, the double act we all know, pitting themselves against all the famous baddies you can think of in the franchise including Riddler, Penguin, Scarcrow, Poison Ivy, Catwoman, Two Face, Mr Freeze and of course, The Joker. If you've played previous games you should know what to expect, considering all three games have vastly different themes in terms of story all of the games use the exact same formula which is tried and tested, it simply works. 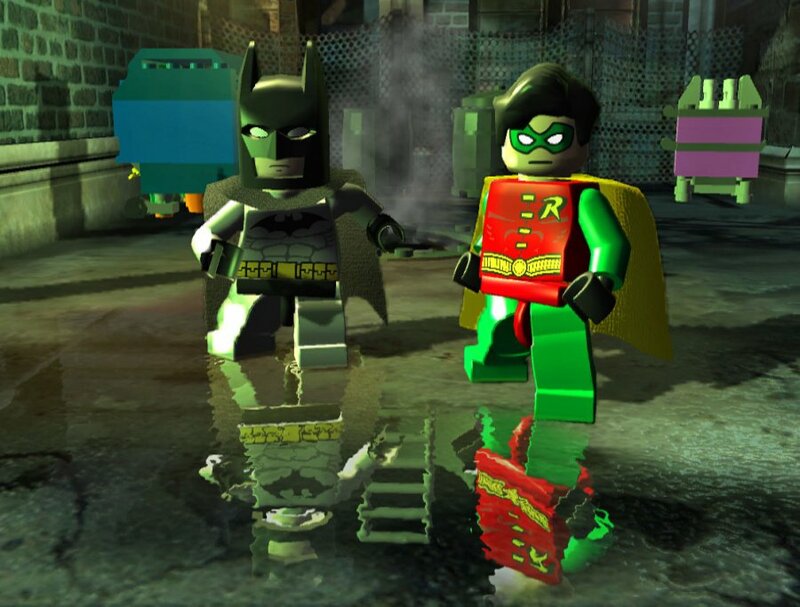 Like the LEGO Star Wars and LEGO Indy, LEGO Batman is a mixture of platforming puzzle and basic but integral fighting action. The gameplay is set out into restricted areas or "scenes" which you usually need to a) fight off some bad guys and then b) figure out a fairly simple puzzle in order to move on to the next area. Another noteworthy feature of the "LEGO" series is the double character element, you can either play as a single player and switch between your characters when required, or you can play two player co op mode which allows you to play the same game with a friend. One of the things that was invented for the game is the concept of different "tech suits" for our heroes, for example Batman can have a suit that allows him to fly a short distance, one that allows him to plant bombs where as Robin has a suit that allows him to walk magnetised on vertical walls (ala Mario Galaxy) or a suit that allows him to hoover up loose LEGO pieces. 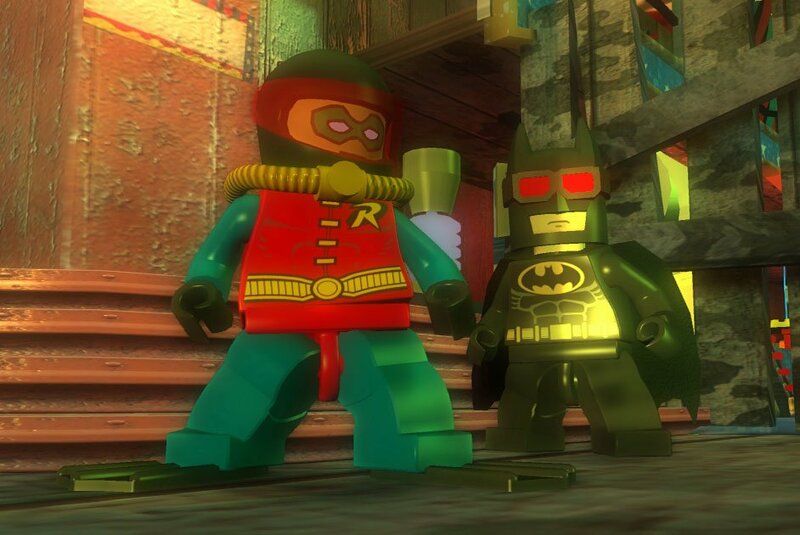 Whilst these suits have no real connection to the Batman world they're required for the puzzle process of the game to work, switching between suits in different areas allow you to progress and advance to the next area. Difficultly wise the game has a great sense of reality, I for one hate games that force you to replay an entire section of the game when you die - none of that here. The hand to hand combat is very basic and only really serves as a method to make you multi task whilst trying to figure out the current puzzle, it's not too over the top and therefore works well. The platforming element to the game is also good, its never too difficult and is always beautifully designed into the levels. 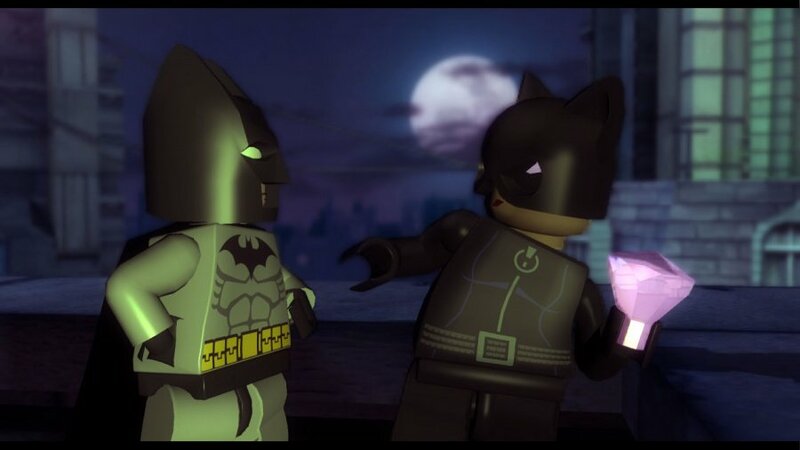 LEGO Batman takes story influence from the films, but doesn't actually follow a movie plot like previous LEGO games, its a very loose story that sprawls all the episodes. The game is split into two sections, Heroes (where it's up to our heroes to capture all the bad guys and throw them back into the infamous Arkham Asylum) and Villains (yes, you get to play as the bad guys), each section has three episodes which each span five missions and will take you a reasonable amount of time to complete. LEGO Batman uses the exact same game engine as the previous LEGO games, it uses this tried and tested formula flawlessly but fails to really add anything new or innovative to the series. Fans of the Batman franchise should enjoy it more than others but those who have played the previous games might feel the gameplay getting a little tired. 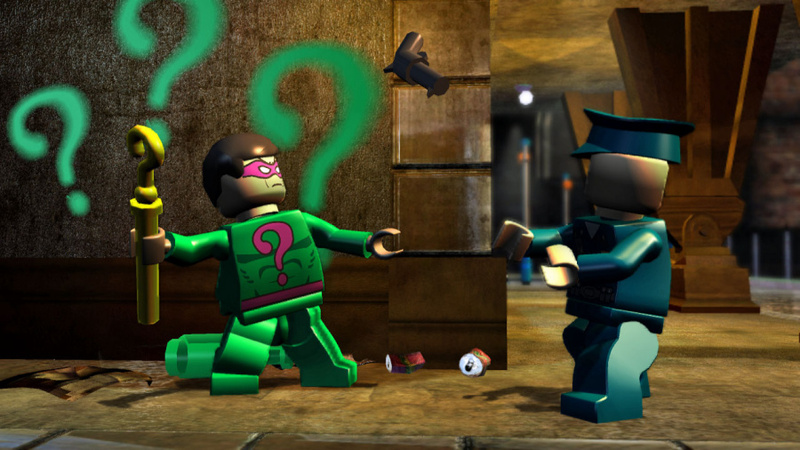 In the end LEGO Batman is a very solid game with only a few problems and therefore would be a worthy consideration for anyone. I cannot sort this game out, tried everything and still cant get past first bit and it said age 7 age group maybe me to old to think ! 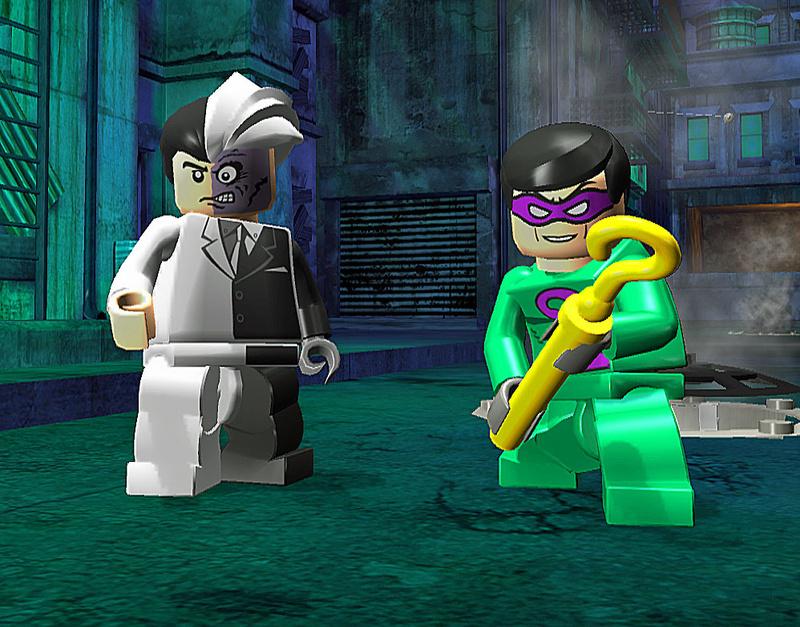 Have you tried looking at the GameFAQs for Lego Batman? nanaki, no have not looked at this ok will sound silly but where would i find this as i am about to throw game out of window !!!! Just click on the blue text in my last post. It is a link to the GameFAQs page for Lego Batman. All you need to do then is click on one of the walkthroughs. Loved this game. 9/10 for me, though not quite as good as Lego Star Wars. hi all. i want to buy this game for my six year old do u think it it will be easier for him to play if i buy the joy pad or is it just as simple to use the wii remote?